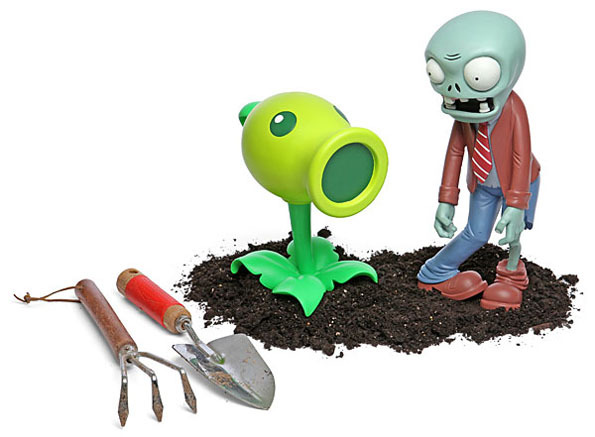 ThinkGeek is selling these Plants vs. Zombies lawn ornaments. They’ve got Zombie and Peashooter versions starting at $30. These are pretty cute! 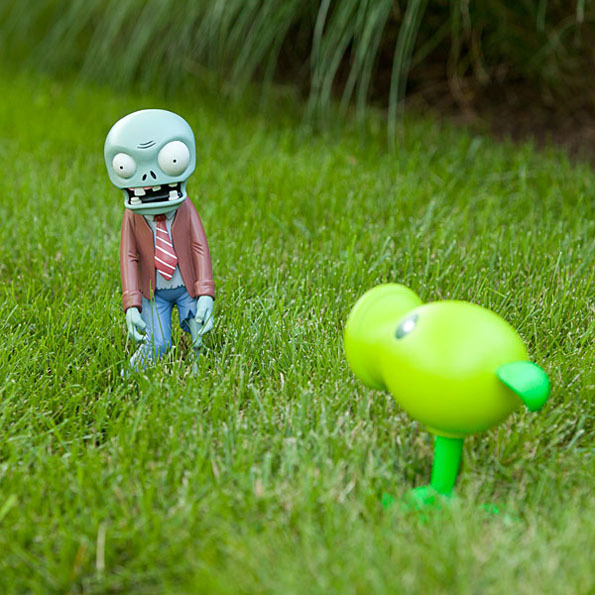 And who doesn’t love a little Plants vs. Zombies action? I mean other than my mom. She doesn’t like any type of games. Except maybe dominos or bridge. Ooh, and mind games. The lady loves her mind games. Like, reverse psychology, for example. Unfortunately, as much as she likes to play, she isn’t very good. She thinks I don’t know what she’s doing, but I do. So you’re saying you WANT me to live with your forever and ever? Oooookay, I guess. I mean, if that’s what you want, mom. Haha, I’m never gonna move out! You did this to yourself, Shirley!